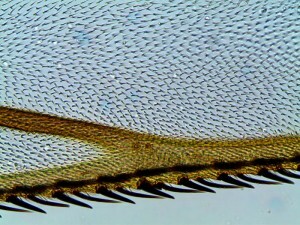 The wing of flies and bees (of hymenoptera in general) are thin and membranous. Place the dry wing into Euparal mounting medium and place a further drop on top of the wing, before adding the cover glass. Wet mounts should also work well. 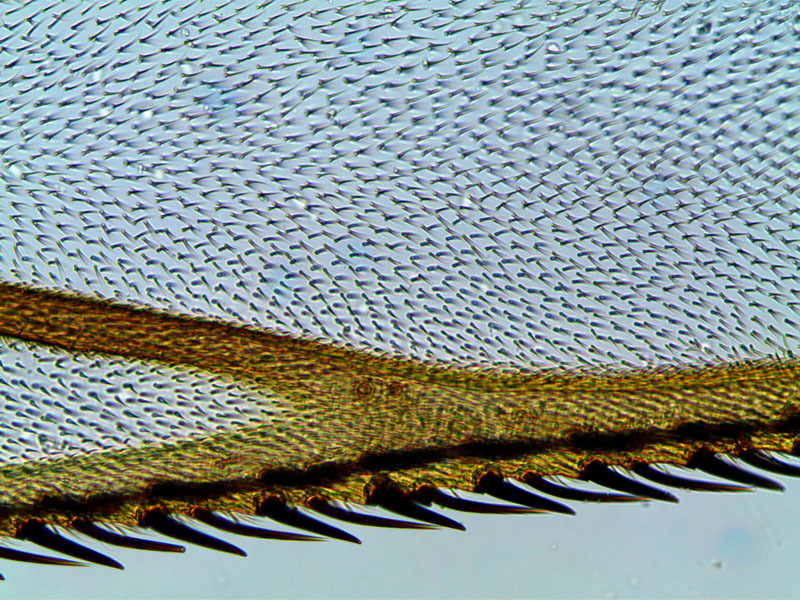 Notice the veins and the numerous small hair, which cover the wing.